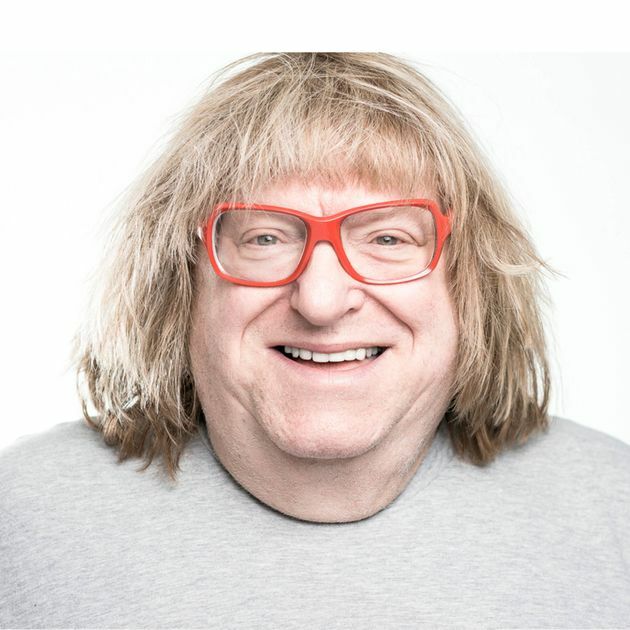 From penning witty zingers for the Tony Awards to hosting Broadway Cares/Equity Fights AIDS fundraisers, Bruce Vilanch is no stranger to the New York theatre community. In 2005, Vilanch even starred as Edna Turnblad in Hairspray. When the Hollywood funnyman returns to Broadway, though, he hopes it’s as writer of the next great jukebox musical. Bruce Vilanch has penned a new musical! The hysterical out comic says Sign of the Times, featuring the music of Grammy-winner Petula Clark, could be Broadway-bound soon. Like other “jukebox musicals” — productions such as Jersey Boys and Beautiful – The Carole King Musical — Sign of the Times utilizes hit pop songs rather than an original score. In this case, the music of Grammy Award-winning, ‘60s British pop icon Petula Clark “and other hit-makers of the day” takes center stage. Vilanch recalled a similar feeling when listening to ABBA years later, he told Podomatic’s No. 1-ranked LGBT podcast. Therefore it was not surprising, he said, when the quartet’s catalogue later became the foundation for the wildly successful Broadway hit Mamma Mia! A six-time Emmy Award-winner, Vilanch has supplied jokes to a veritable Hollywood who’s who, was the quirky center square for four seasons of Hollywood Squares, a long-time reporter and columnist for The Advocate and even cowrote Eartha Kitt’s campy 1980s hit “I Need a Man.” A featured writer on almost every major televised awards broadcast, he’s served as head writer for the annual Academy Awards since 2010. The hilarious blond – equally known for his inimitable appearance – is far more than champion of the one-liner though. He’s written successful stage productions stretching back more than four decades. Vilanch cowrote Bette Midler’s 1974 Broadway show Clams on a Half Shell and later inked her 1980 epic Divine Madness. 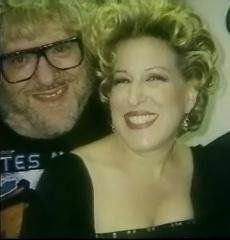 The Divine Miss M again teamed with The Divine Miss V for The Showgirl Must Go On, Midler’s 2008 residency at Caesar’s Palace in Las Vegas. Vilanch forged a similarly long-standing relationship with Diana Ross. After befriending the MoTown legend on the set of Mahogany, in which he had a bit part, he wrote An Evening with Diana Ross. The show played Vegas, Broadway and was later turned into a television special. 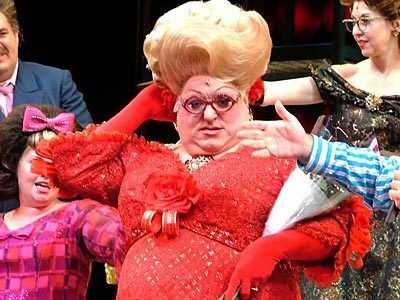 In 2005, Bruce Vilanch starred as “Edna Turnblad” in the Broadway production of Hairspray. Based on an original story by Robins, and written by Vilanch, Sign of the Times features Clark’s biggest hits including No. 1 single “Downtown,” “I Know a Place” and, of course, the song from which the production draws its name. Also included are smashes from contemporaries Leslie Gore (“You Don’t Own Me”), Nancy Sinatra (“These Boots Are Made for Walking”), Dusty Springfield (“I Only Want to Be With You”) and more. After debuting last summer with a successful five-week run at Goodspeed’s Norma Terris Theatre in Chester, CT, Vilanch says it could be only a matter of time before New York calls. To gain perspective on the process, he turned to modern musical theatre genius and Tony-winning Broadway superstar Lin-Manuel Miranda (who Vilanch calls “Mr. Hamilton”). “He said Hamilton took seven years; everything takes seven years,” shared Vilanch, noting Sign of the Times is now in its third year.